Rare Canadian stamp gets top dollar at auction! A rare Canadian stamp is now in the illustrious company of other top selling stamp rarities of the philatelic world. 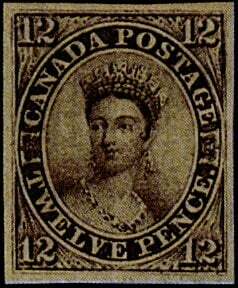 At a recent auction of some stamps from billionaire William Gross’ collection, a Canadian 1851 12p black on laid paper with original gum (Scott #3) sold for a record breaking $273, 000 CAD. That is the most money that has ever been paid for a single Canadian stamp, and well over the hoped for asking price of $116, 000 CAD! What makes this stamp so rare is the fact that only 1,450 copies were issued back in 1851. In all, Mr. Gross’ British North American collection netted about $2 million. In addition to the black 12p, many other fine Canadian stamps on display also sold for double their initial estimate, making this auction a resounding success. The Treskilling Yellow sold in 1996 for $2, 27 million-the top dog! i HAVE A full collections of 1102 pices of stamp from 1914 to 1967, are you interesrted in them..